We got the trans back in the car yesterday. We decided to try out our new cheaty race clutch and...the car stalled out the first time I let it out...and it did so again..and again...and again till we figured out we had messed up the shift linkage and had the trans in reverse AND 1st at the same time. After fixing that things were just fine. Unable to leave well enough alone my Dad plugged up the holes for the parking lights with epoxy (model car guy stuff again!!) Current plan is to make covers for the headlights that look like eyeballs, the car is going to be another animal themed car. 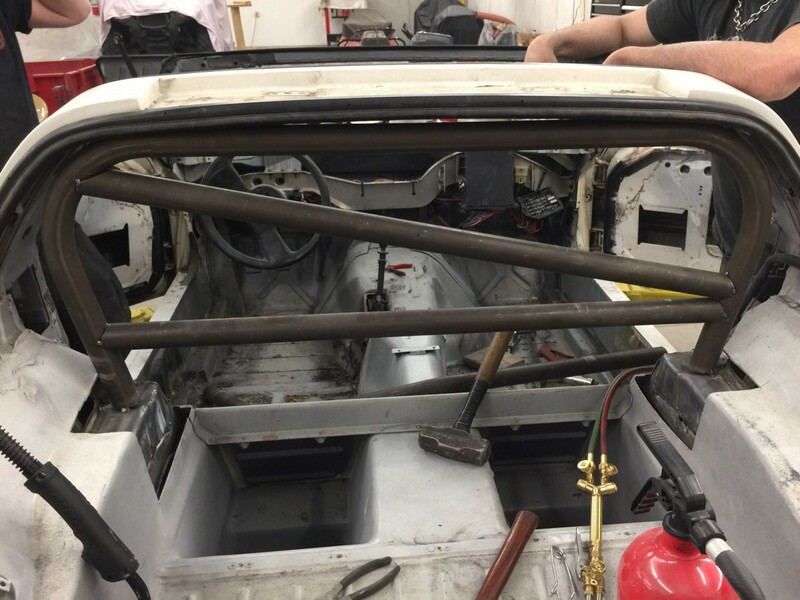 But the roll cage gets welded in next...this is what it looks like so far. Appreciate the videos much. Excellent work. lol... I could of had a 928 complete car, it was sitting under a car port for 10-15 years (bad fuel pump) for $400. Would have jumped but it was an automatic. Lol... I actually got a $50 residual on my 928! So I have $450 to offset my cheatonium. I love your YouTube video approach. Where are you guys located? I see you guys with the Camaro at Gingerman every year. I have have the R2D2 Miata (in the Ann Arbor area). The holidays are taking up a bunch of my time...and that's fine, family always comes first. I will have more video soon. The roll cage shop keeps pushing our appointment further and further back. I/we are almost to the point of trying to tackle it ourselves. We HAVE caged a ton of race cars in the past but...the corvette is small and the tub is fiberglass so its...difficult. I think we can do it, but its not my call to make, we are a team afterall and I have to live with how the vote went. Our mufflers arrived in the mail so we set about getting those hacked into place this past weekend. While that was going on I got out my drill and added some hood pins to the car to replace the busted latches seen in our first video. To cap the week off I managed to sell the center caps for $50 and the speaker grills for $40. Every bit counts at this point. That's all for now have a great holiday. 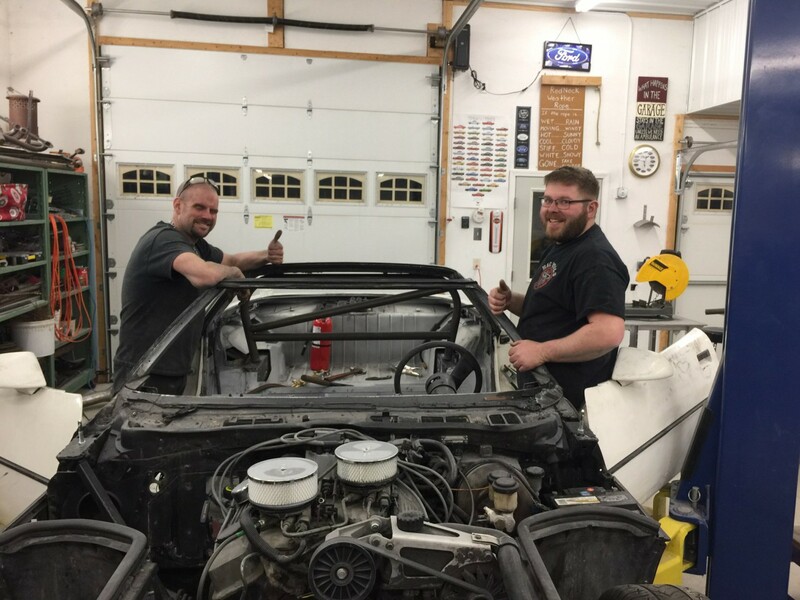 "The roll cage shop keeps pushing our appointment further and further back." Every Roll cage shop ever. go going. I sold our power lock actuators for $10 a side, remote electronic hatch latch for $40.. it does add up. Some good news and a question for everyone following this build. First off I managed to sell all the fake wood trim bits that go around the dash on the car. $10 each for a total of $80, we are SOOOO legit now. Also my uncle was kind enough to give me some gauges out of his last circle track racer, so I have some nice sport comps to install in the car, happy Christmas to me and the Vette! Finally a question. 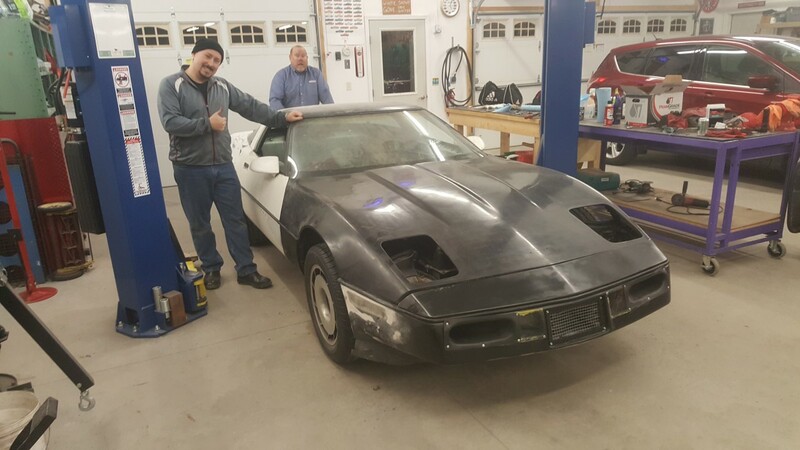 We were planning to do a fire system on the car anyways, we figured it was going to be a rule and since fiberglass burns it just seemed like a good idea. What does everyone like in a fire system?? What does everyone use?? Pros and Cons?? This is a new thing for us lend an opinion folks! Not sure which ours is but we have a halo type system with 2 nozzles in the car and one in the engine bay. I used the LuckyDog discount option, decent system, a bit slow shipping so don't leave it until the last minute. Was reasonably simple to install, used all 6 nozzles, 2 at driver, 2 in engine bay and 2 at fuel cell. These vids are great, thanks for sharing! Can't wait to see what it looks like with the roll cage, hope they get to it soon. You and me both brother!! I'm only patient on the track. I need the tubes in the car so I can build my perfect beast!! It was Fuel day in the shop today. We replaced all the rotted fuel lines, the weak fuel pump, and the fuel filter. The previous owner had also been nice enough to kink and twist the hard lines from the throttle body, my guess was they MIGHT have been able to flow about half the volume the car wanted from the factory. Between that and changing the fuel filter the car starts and idles much better now. One thing I forgot to mention in the video was that I also pulled out the fuel sender and cleaned a bunch of crap out of the gas tank itself, was pretty amazing how much dirt, sand, and who the hell knows what else was in the tank. But hours well spent I think. The roll cage is going to be...EVEN WORSE then we thought it was going to be. Futhermore with 2 drivers over the 6 foot mark its gonna be a tight fit. The joys of working with a plastic car, Lots of measuring and then cutting holes in the floor to get down to the frame. The frame channels are kinda narrow on the top of the car, so we are wrapping our spreader plates around them, lots of heating and beating the car into submission. The frame kicks up right behind the drivers seat, it lifts up about two feet higher right behind were you sit. So current plan is to have it attach to the A pillar bar and then go straight back to the frame with a spreader plate to tie it all up. Again the car is REALLY odd in how the frame is layed out, but most of the builds we have seen that is how people cage these things. You could have removed a lot of that and gotten the bar a few inches higher... I would have removed everything but the plastic shell... looking good.